Ready, Set, Congo! 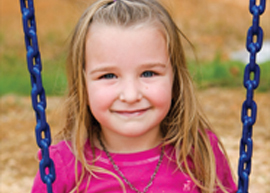 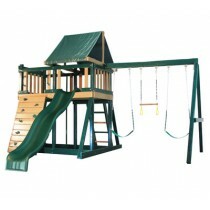 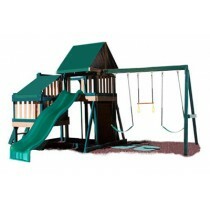 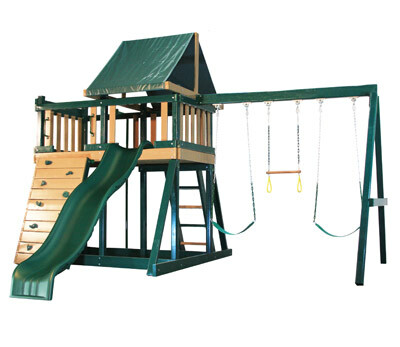 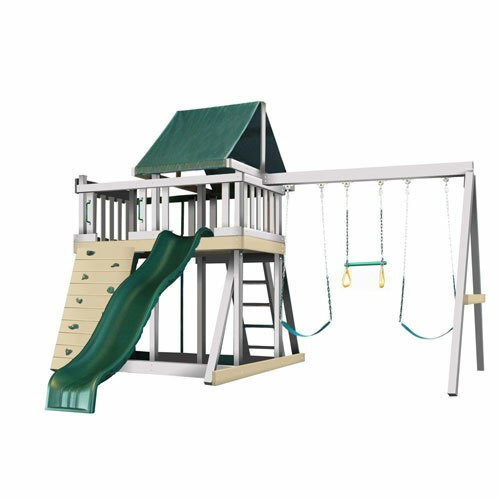 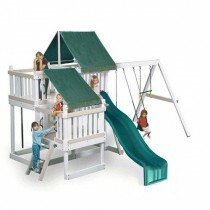 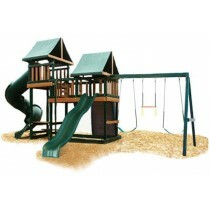 Our Congo Monkey Playsytems Swing Sets are built using lumber from Woodguard. 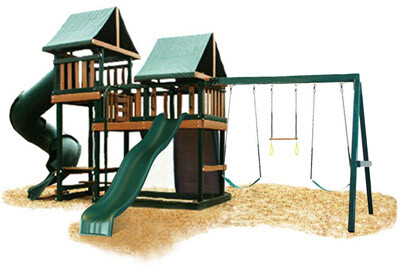 During the manufacturing process the lumber is coated with a protective polymer and its free from splinters. 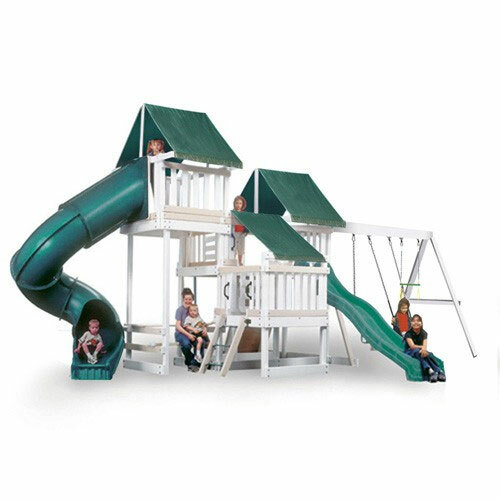 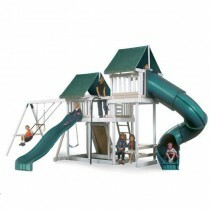 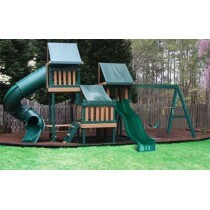 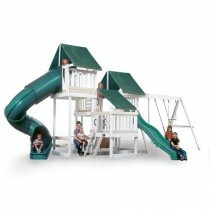 Best of all; like all vinyl swing sets; its low maintenance and parents will appreciate this play set! 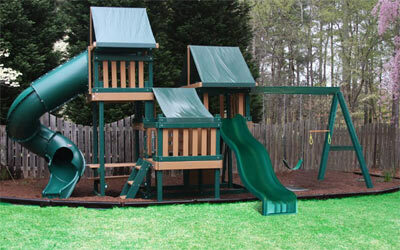 It will not chip, crack, rot or peel and is UV stabilized! 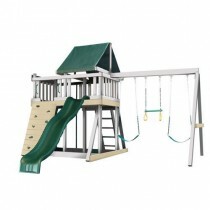 Choose from white and sand or green and brown lumber. 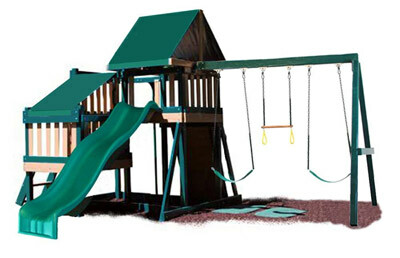 Accent colors on the accessories are green or blue.